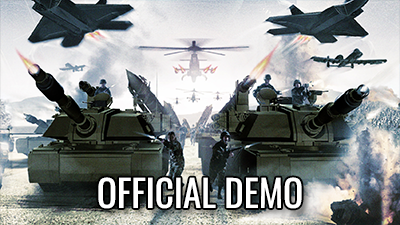 The official demo version of C&C: Generals. The latest official patch for Generals, as was released on 15 December 2005. You can read the full changelog here. 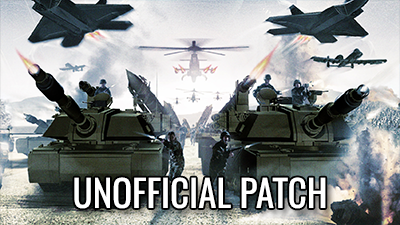 GenTool is a special add-on for Generals and Zero Hour which brings many new features, fixes bugs, exploits and memory leaks, and redirects the multiplayer menu to C&C:Online. For more information, refer to our GenTool page. The official Generals manual from the European release. The official manual for the Generals Worldbuilder. The same features apply to the Zero Hour Worldbuilder, and can also help with other iterations of the tool. An official GLA campaign mission which was cut from the final release, as was released in 2009 by Aaron “APOC” Kaufman. An official downloadable skirmish/multiplayer map for two players. 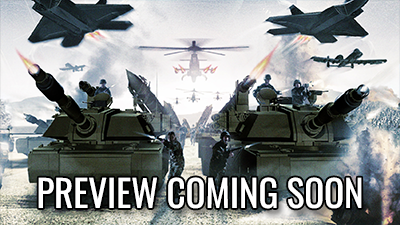 A free, promotional mini-game from the time Generals was first released. Its gameplay is simple – the player chooses a faction (one of the three from the full game, of course), and plays against the AI in a way that they both choose a unit’s statistic. The card which has the less optimal value of that statistic is moved to the other player’s deck as a captured unit. The game ends when either player loses all cards. This package includes official promo material from Generals made for fansite creation.